* Blood lactate testing or in-depth biomechanical analysis at begining and end of program. Pinnacle Performance’s Winter Training program is designed to provide athletes with an opportunity to supplement their scholastic team’s winter training with personalized training. Most athletes do not have adequate access to indoor facilities, limiting their ability to train properly, and increasing their risk of injury. We offer practice two times per week at an elite local indoor facility to balance the need for proper facilities with the ability to blend their training with their scholastic teams. At the beginning and conclusion of the Winter Program, athlete are tested in their choice of blood lactate testing or advanced biomechanical analysis. This testing helps athletes monitor success during the winter program, and helps coaches to make adjustments in each athletes training based on current growth and challenges. While workouts are indivudualized, each training session is broken into groups to allow our athletes to train with other dedicated and competitive peers, making our practices fun and competitive. Athlete chosen music, provided water and Gatorade and post workout meetings punctuate each practice. The coaching staff carefully monitors our athletes' heath and athletic progress throughout the winter to yeild short-term improvements during the indoor season while preparing for outdoor track. Each week, families and athletes receive personalized progress updates from their athlete’s coach. In addition to on-the-track training and testing, athletes will have full access to our Pinnacle Lifestyle series led by our staff sports psychologist and sports nutritionist. Each week, athletes and thier families participate in the hands-on educational events led by our staff professionals. Events inlcude mini workshops at practice, large and small group lectures, grocery store tours, webinars, and cooking demos. 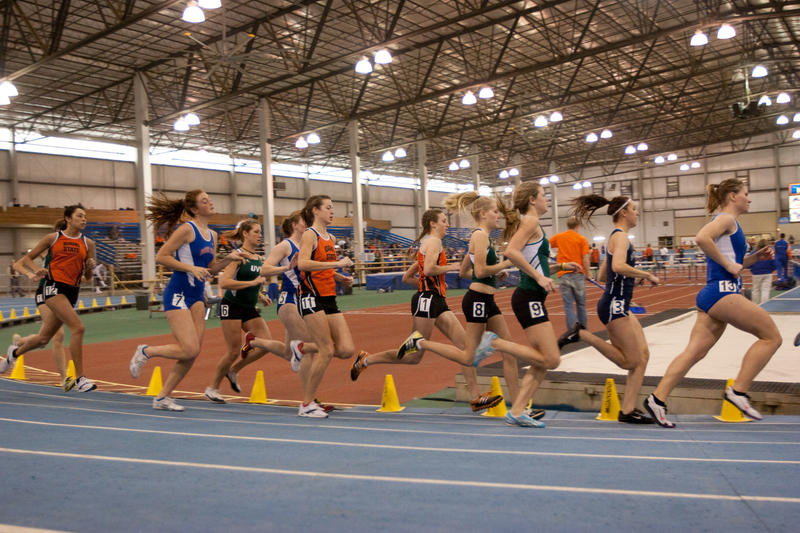 The Winter Program has groups for middle distance, distance, and sprinters. Our Winter Program also has a training group for athletes from other sports that are looking for an edge and further develop their speed and power.